Ragi roti, or rotis made with foxtail millet, is a traditional bread eaten in many southern states in India. We follow Molly as she walks around to the back, basket slung between hip and arm as she reaches for a sprig of leaves here, a twig there. The greens are for aakura pappu, a dal with four kinds of greens from around the area There’s also natti kozhi curry and pichi biyum on the woodfire, bheerekai gojju, ragi roti and rocket salad. "You can't ever say you came to Molly's house and didn't eat well," she winks over at us. Read more about Molly’s work at Timbaktu here. 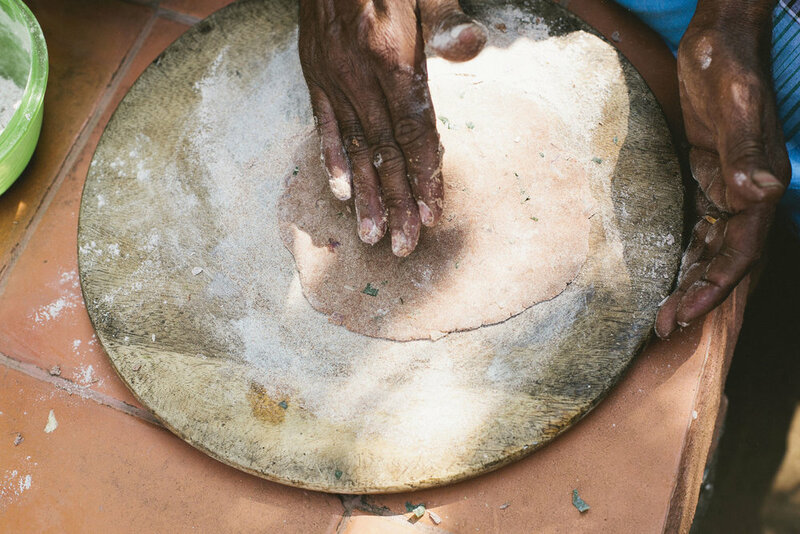 The ragi roti can be stored for later as it keeps for a few days, but is best eaten warm from the tawa.